Measures approximately 4 inches. The art work and detail are beautiful on this hand painted figure. 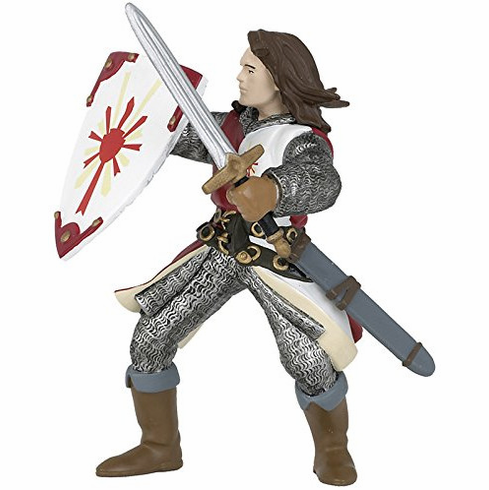 Like most of the Papo figures, the Lancelot designed to both stand on his own or to ride a horse.